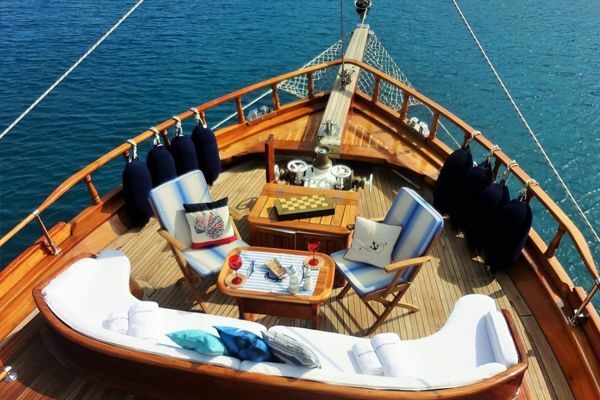 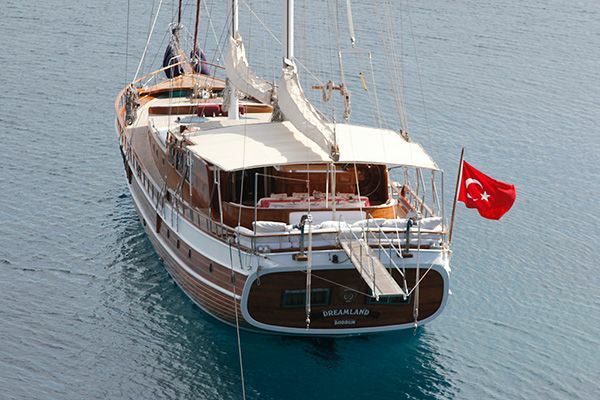 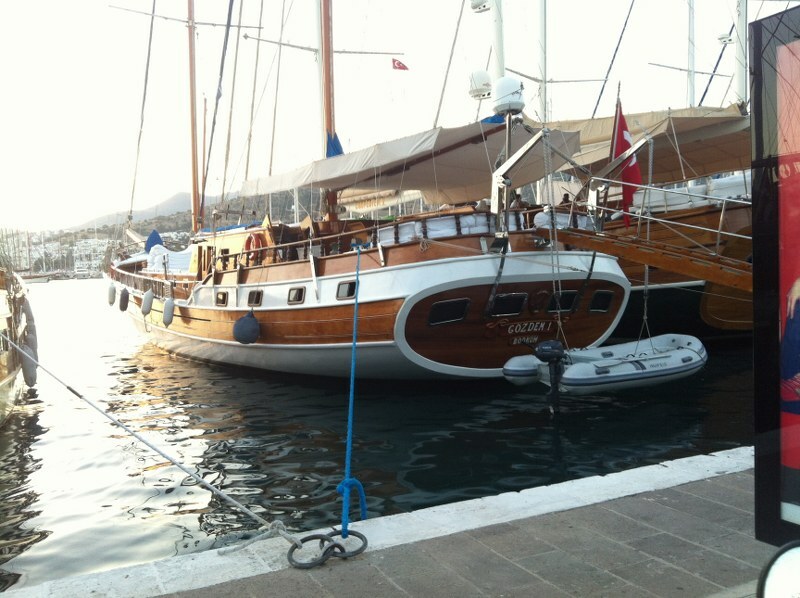 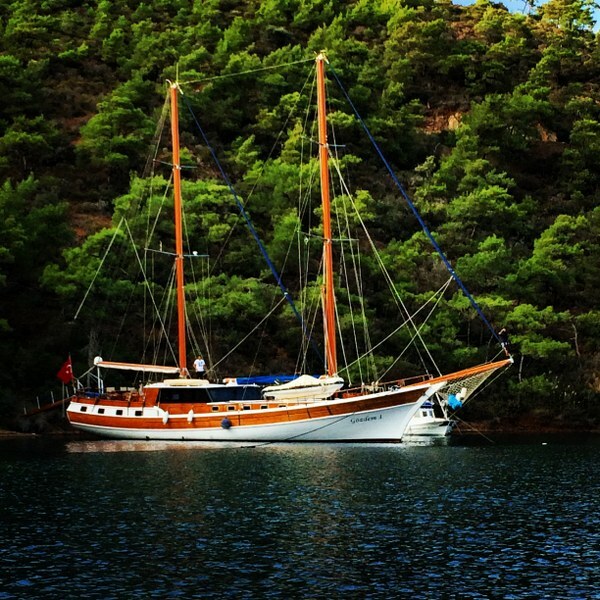 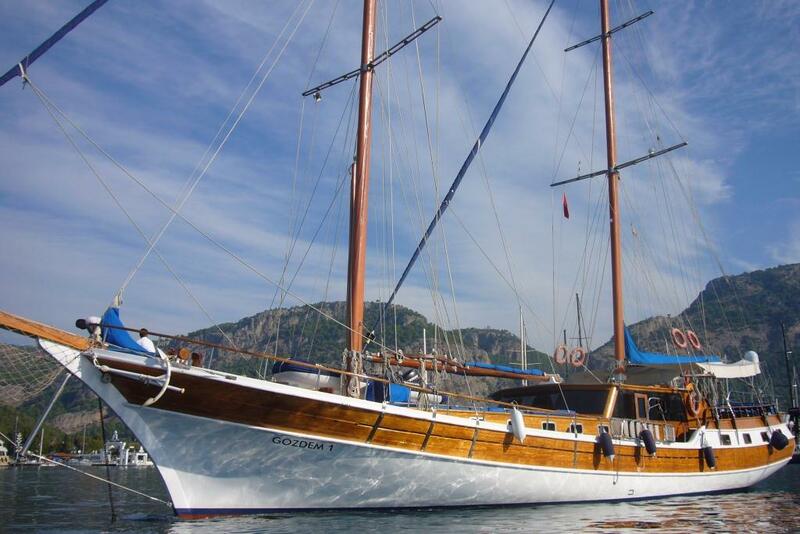 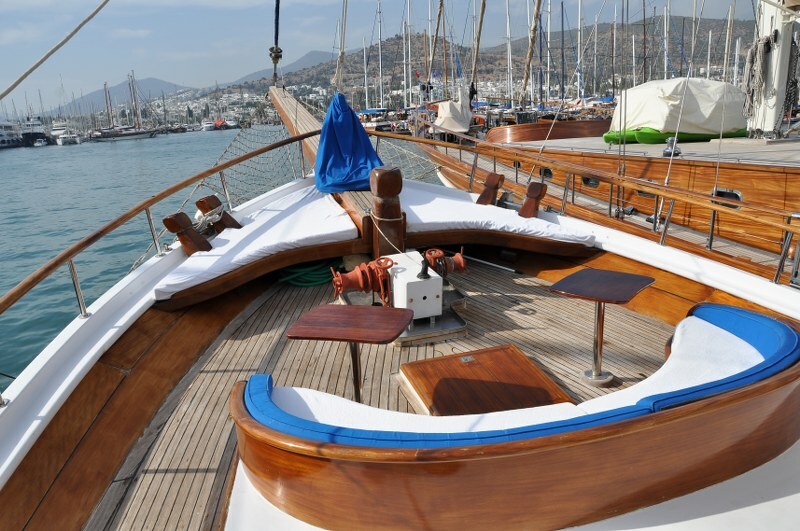 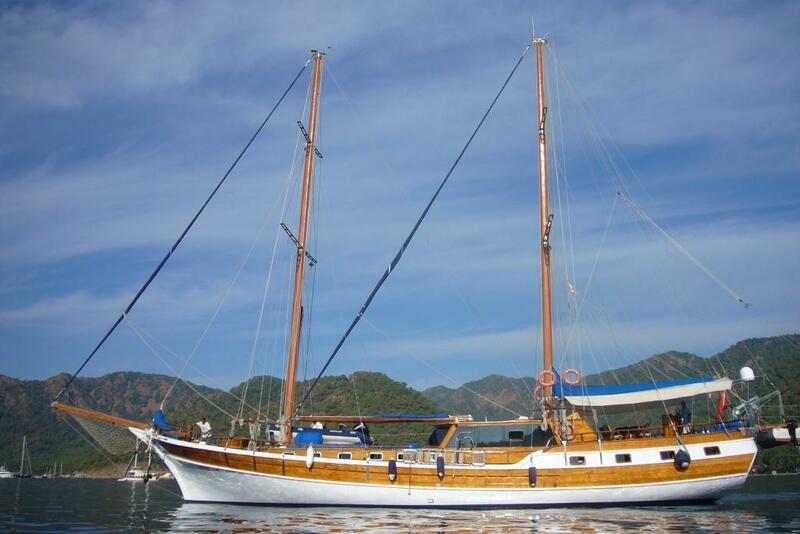 The Luxury gulet Gozdem 1 is a very welcoming 26 metre, 5 cabin classic Bodrum gulet which offers guests great comfort, space and hospitable service for their cruise on the Aegean. 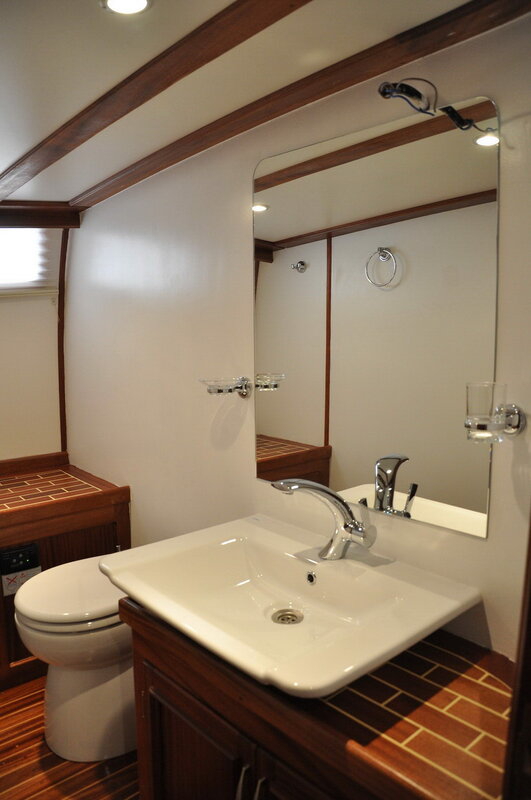 The cabins are simple and uncluttered with superb wooden finish to the walls and floors and white textiles; all with well –appointed en suite bathrooms which include tiled shower alcoves. 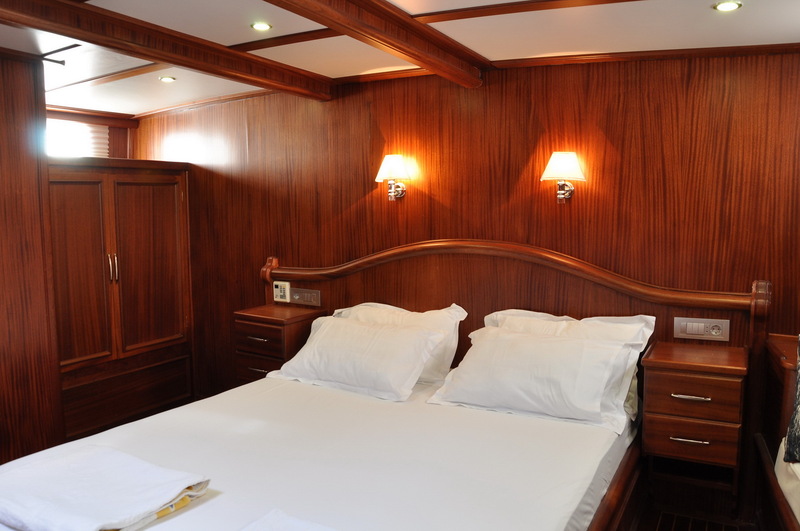 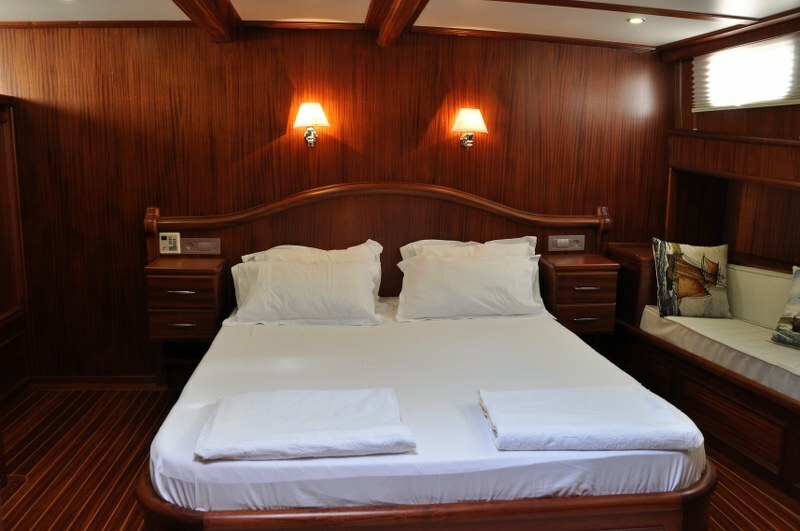 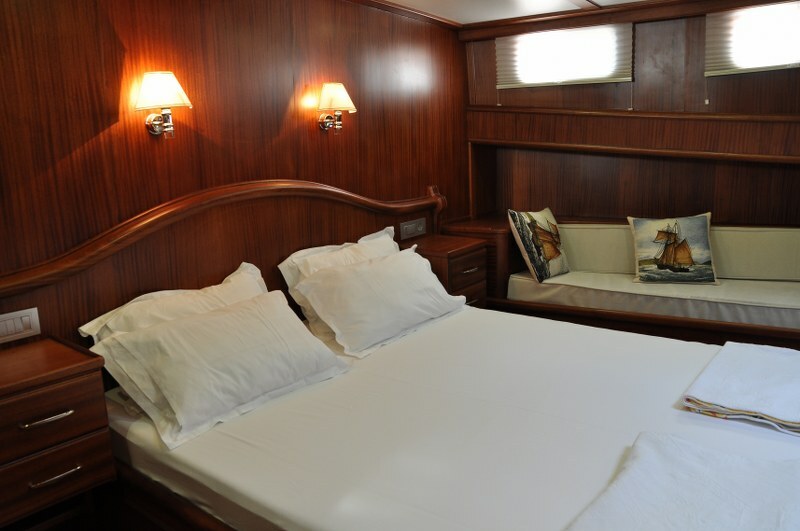 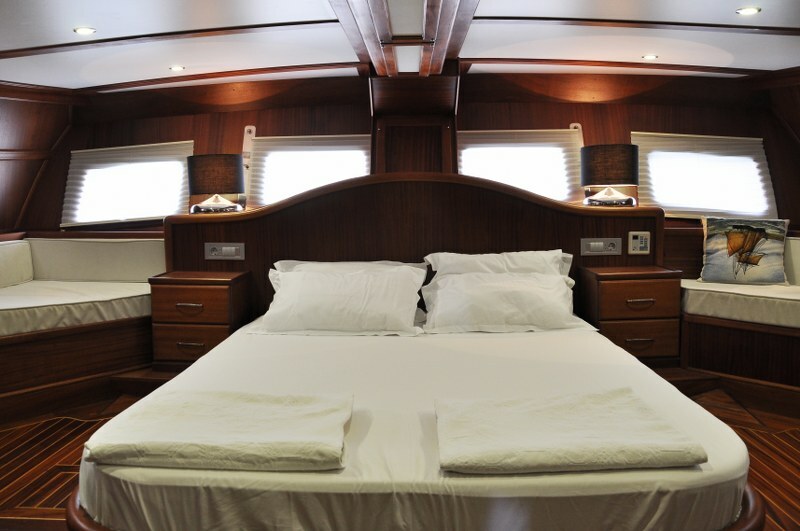 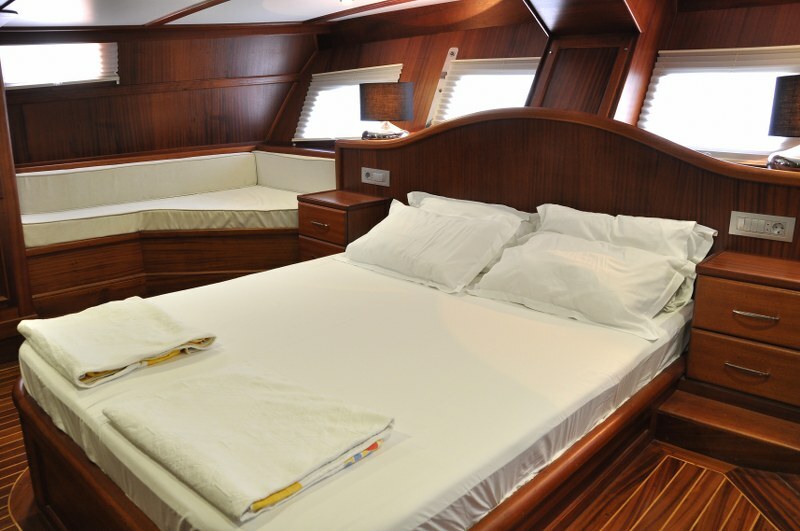 All five cabins on Turkish gullet Gozdem 1 are air-conditioned, three double cabins and two spacious full beam width master cabins, one forward and one in the stern, which offer extra luxury and comfort with extra touches such as own TV with satellite, and extra wardrobe space. 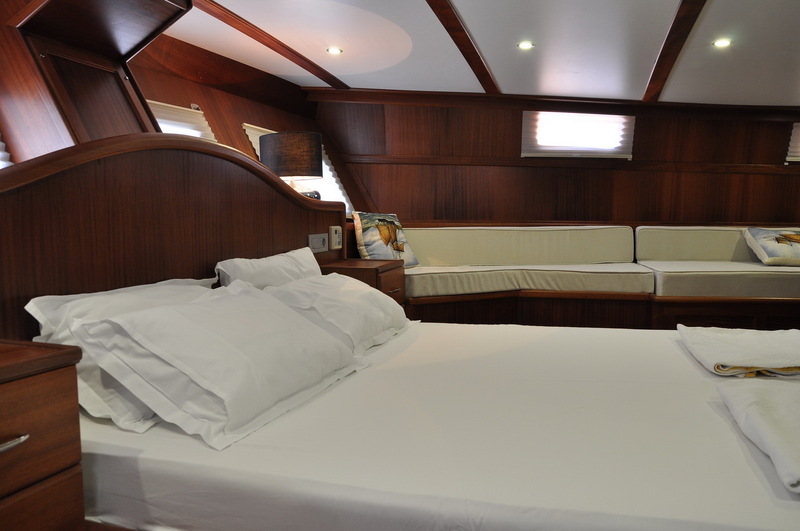 The layout gives a group of friends or a family some space with one master cabin and one small double in the stern, and the two double cabins and a master cabin forward. 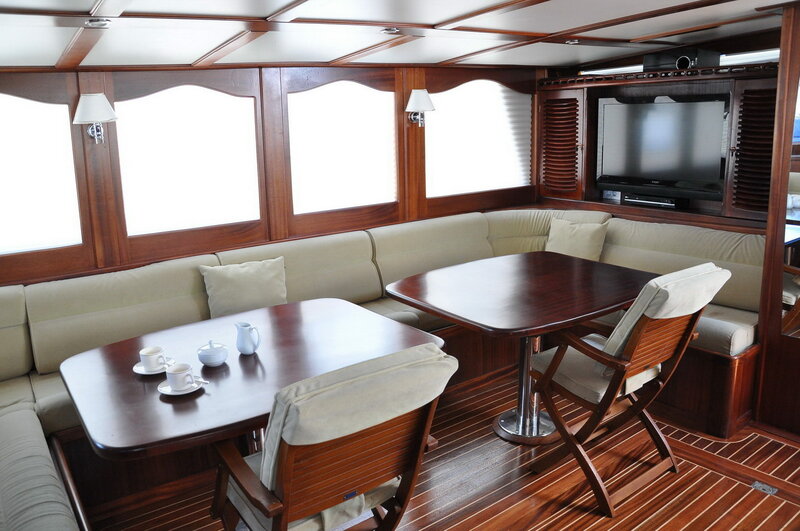 The well-equipped galley is located below the indoor saloon which has two tables and the long comfortable bench seat for indoor meals or relaxing with the full TV/ DVD and music system. 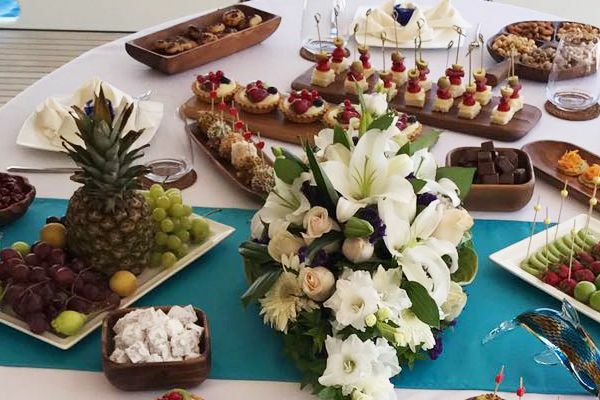 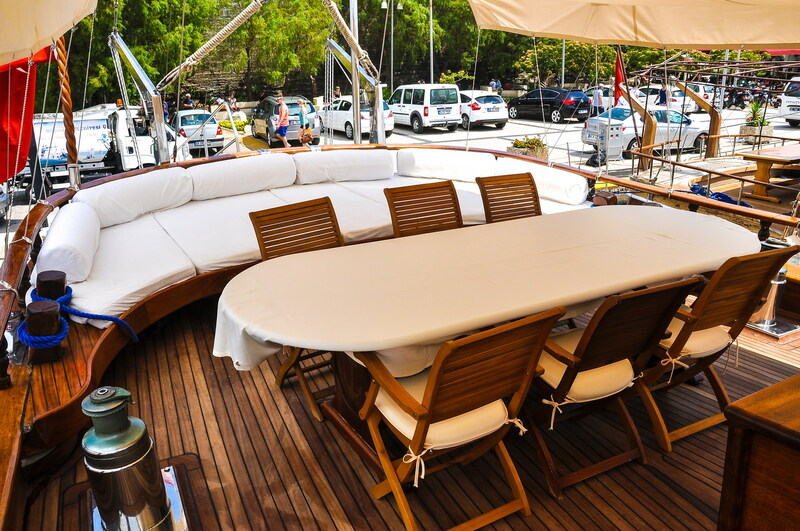 The large table with chairs on the aft deck is the place for enjoying the magnificent meals that are prepared and served by the crew, and drinks are also served from the well set-up deck bar: perfect for those lazing on the wide cushions across the stern, day or night. 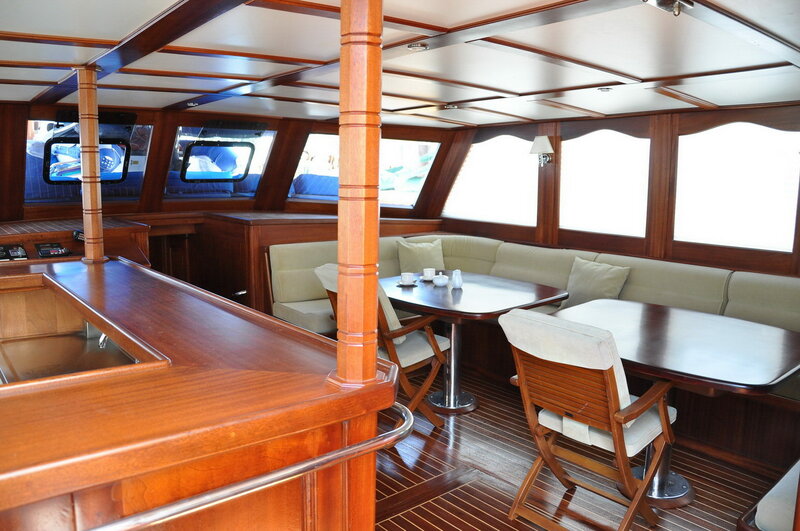 The front deck on Gozdem 1 yacht is a great space with sunbeds for everyone and the classic bow seat just right for taking in the views, reading, or gathering for a sunset drink. 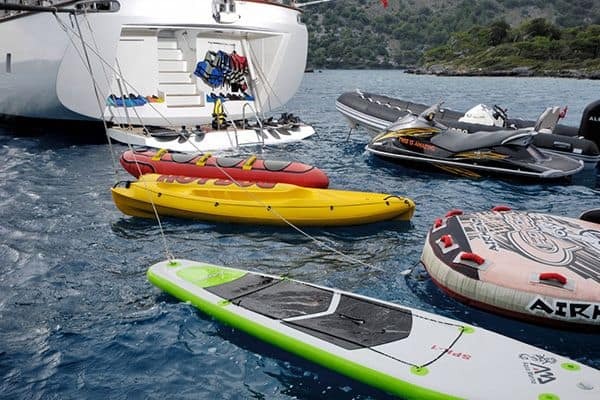 It also makes the best place to watch the active guests on the generous watersports equipment available, the canoe, standup paddle board, and the ringo and waterski on request. 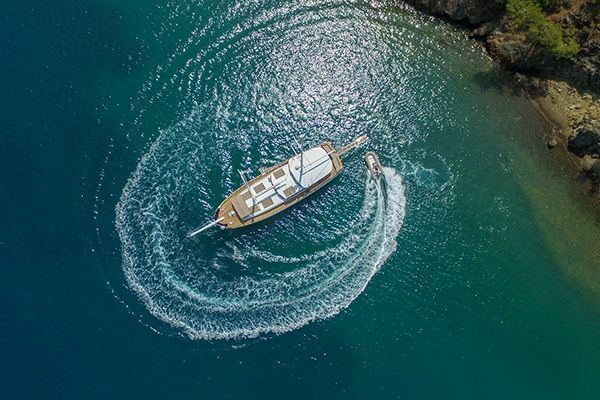 The crew is experienced, friendly, and look after their guests to make sure they enjoy a memorable cruise along the Turkish coast or amongst the Greek Dodecanese Islands.